I read an article from one of the brochures I got from the hospital when I first gave birth. During the first pregnancy doctors, health care providers and pediatrics usually give out some hand outs and other health information brochures to have healthy pregnancy. They give out lots of free stuff, pamphlets, brochures for first time parents to as guide to parenthood. This article 10 things you can do to be a great dad are for first time dad. It has tips to get the Daddy on the road toward enjoying, and succeeding at the job of a lifetime and tha is Being A Dad. These are the photos of my Father holding his grand daughter, Joe holding with jake and my Brother with her daughter. They may not be called a great dad, but they do their best to be a great dad one way or another. 10 Things You can Do to Be a Great Dad! 1. Get in the Game Right Away - There are no bench warmers in fatherhood. Even if you didn't go to childbirth classes, choose your baby's doctor, or create the nursery, it's never too late to step up to the plate. You should be involved in your baby's life as is mom. Change diapers. Give your baby a bath. Go to doctor visits. Babies of involved dads are more likely to succeed in life than are babies of uninvolved dads. In this case since from the start Babger already showed his fatherhood side. He was excited when we got Jake and Justine. He is the one who always takes the kids to their pediatrician appointments now that we have two kids already. He is also in charge in giving Jake a bath and putting him to bed at night. 2. Touch, Hold, and Play with Your Baby - Some men are nervous about holding their baby. "I might hurt him," they worry. "Or, worse, I might drop him!" Don't Worry. There's no better way to bond with your baby than to touch, hold and play with him. Your baby needs your touch from the moment he is born. Boys who get lots of touch and love from their dads grow up to have a healthy view of what it means to be a man. Girls who get the same kind of touch and love learn that the most important man in their lives loves them no matter what. For for first time dad, here's how to hold your baby. Support his head. Keep one hand behind the back of the head so you can cradle it. Let your baby see your face. The best way is to hold him against your body. His body should be horizontal(straight across) with the head a couple of inches higher than the feet. 3. Respond to Your Baby's Needs. - When your baby cries, go to her. This is really important in the first three months of your baby's life because it helps your baby develop good emotional health. Your child will learn that there are two people she can always rely on, you and mom. And, believe it or not, your baby will cry less often if you and mom don't wait to respond to her cries. This is very true in my experience. My J&J is not a crying baby or colic baby. They have been a very good baby even when they are still in my womb. Responding to your baby's cry build strong confident and feeling of security. 4. Make Time for Your Baby. - Before baby, your time was pretty much your own. Not anymore. managing your time is now a challenge. And changing your schedule to be there for your child isn't always easy. The first thing to is look at how you spend your time. Review your usual week. How do you spend your time? Look for ways that will create more time for your family. My husband has to work more in this one. Sometimes he is selfish that he needs time for himself without thinking of his wife and kids. My husband if he feels like taking a nap even if the kids are making noise or fussing he doesn't care in fact in other circumstance he yells at them especially if he is tired from work. 5. Make Time for Your marriage. A strong and healthy marriage makes for happier, healthier parents and children. Don't let the changes and sometimes crazy life that come with the new baby drive you and your wife nuts. tend to your marriage. Remember, mom needs your time and love, too. Have a date night once a week, even of you stay at home and rent a movie after baby goes to sleep. Talk to each other a lot. Discuss the joys and the frustrations you each feel as new parents. Children can make your marriage stronger. But it doesn't happen by magic. You have to work at it. This part we failed. The date, talking and time my husband doesn't have all that. he' rather take a nap. and if sometimes we talk and lead to something he always say quiet because it stressing him out. That is we never talk now, i don't like sharing things on him and i withdraw myself on listening to him sometimes because he doesn't know how to listen. I wish he can read this one too so he knows that part of his life that he needs to change to work out our marriage. I too needs to change and we both needs to learn how to compromise. 6. Get Some Sleep (Really!!!) - We never have problem with the sleeping of our baby when they were little because they sleep through the night. Except with Jake when he was 2 months old when he started to terrorize us but after two months he was great. My husband is very good when it comes to sleeping. He can sleep even if the baby is crying and I can't. 7. Don't Think That a Paycheck Equals Love. Being a dad means more than bringing home a paycheck. Providing for your family is very important. But don't make the mistake of working all the time. You amy look back one day and realize that you spent too much time at work and not enough time with your children. It's okay as a new dad to worry about money. Always remember that your children need your time more than they need your money. A good rule to live by this is: Your time is the best investment you can make in your children. 8. Understand That Being a Dad Isn't Always Easy. - Being a dad is the best experience you will ever have. Life with children has more meaning, love and joy than you can dream of. Children bless your life. At the same time being a dad comes with stress, can make you tired, and can make you wonder why you had kids in the first place. In behalf of my father, husband and brother this statement is very true. I think having a children completed them as a man same thing that woman feels when they have baby. For man if they get the girl pregnant it boost the ego and feel so manly. "Im the man" thats i think some of the man said when they knocked the girl up. So for new dad don't be surprised if you feel crazy at times and don't have as much joy as your thought you would with a new baby. Talk with mom, friends orfamily about your feelings. Don't feel guilty about being sad, angry, orcrazy at times. These are normal feelings. 9. Ask for help. - No man is a "natural" at being a dad. It takes work, and you will always have much to elarn. Ask for help once in a while. The first person to ask for help is your baby's doctor. He or she can guide you on everything from feeding to sleeping to the health of your baby. Friends who are fathers can hel, too. 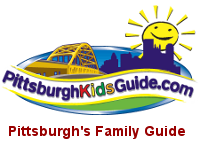 There are fathers' groups and program in many cities across the country. My husband and I don't have friends that have kids around here. I am glad we survive this kind of feeling or never felt this stages of our parenthood. 10. Read About How to Be a Great Dad. - Get a book or two...or three! A good book can answer your question, confirm your feelings, and give good advice. Just follow your instinct and do the best you can to make you family and kids happy, healthy and love. So. there you go folk, to those new dad out there hope this article might help you to be a great dad. Very revealing lahat nang isinulat mo. Sana nga ay mabasa yan nang hubby mo para magkausap kayo nang masinsinan. Mas lalong lalala ang problema nyo kung ganyang may commuication gap kayo. Lahat nang bagay maski wala namang kahulugan ay namamagnify dahil nabibigyan nang ibang motibo ang ginagawa nang isa't isa. Siguro mainam na sumangguni kayo sa isang well respected at competent marriage counselor para maayos ang mga gusot sa marriage ninyo. I'm still praying for you and your family my friend. Thanks for the post. God bless you all always. very well said, Tsang; thank you gor sharing :-); musta na kayo? Okay na ba pakiramdam nyo? more and more fathers are getting involved in caring for their child now unlike before. cold war pa diay gihapon mo diha tsang? hope all is well...kalakaw naba si jake? salamat sa dalaw ha...au-au....mwah! laag ko dire kadali tsang...mustamos ang inyong weekend? init man kaau dire sa amo woi....maong wala me nag laag karon....gahapon rami nag wara-wara....pahuway lang me dire sa among luya kay hangin...ehehehe! 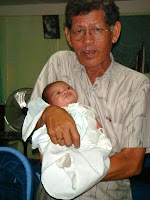 sige bayot, adto sako sa imong other blogs kay sau ko ron mag blog hop...dire sako manukad....lol!